The game made over a half a billion dollars during its opening weekend. The most recent addition to the Call of Duty franchise continues to set new milestones for the popular first-person shooter series. 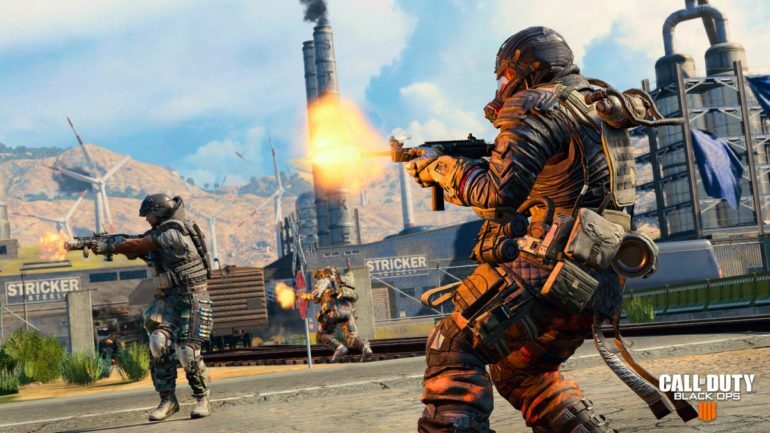 Call of Duty: Black Ops 4 made more than $500 million worldwide during its opening weekend, according to an Activision press release. “Through its first three days of release, Black Ops 4 set a new Call of Duty franchise record for most combined players, average hours per player, and total number of hours played on current generation consoles,” Activision said. Although a specific number of players wasn’t provided, Activision said that more people played Black Ops 4’s three game modes during the opening weekend than both WWII and Black Ops III during their first three days, respectively. And according to Activision, Black Ops 4’s opening weekend had the “highest level of viewership” on Twitch in franchise history based on minutes watched. These astonishing numbers come just a few days after it was revealed that Black Ops 4 set a record for the most first-day digital sales for an Activision title. Oct. 12 also marked the largest day one digital full game sales on the PlayStation Store, according to PlayStation, as well as the biggest Activision Xbox One digital game sales in the developer’s history. Black Ops 4 hasn’t even been out for a week yet, but the title is clearly making its mark on the gaming community.